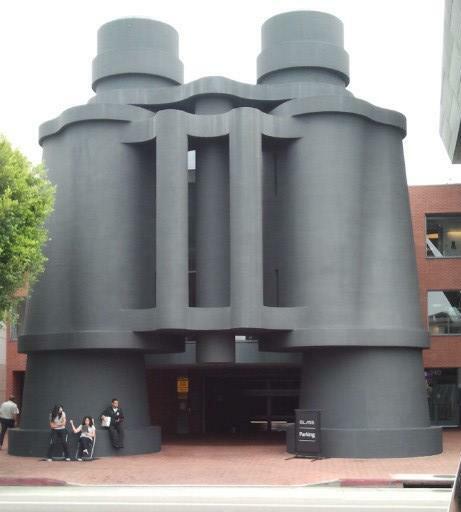 The entrance to Google L.A. is a giant pair of binoculars. I have arrived in L.A. This is my first time in California. I am here for my appointment to be fitted and instructed in the use of Google Glass. I am early. The airport shuttle drops me off in front of Google. I have to admit, the entrance makes a perfect welcome for the Glass Explorers. I am too early. I will go exploring before my appointment. Google is in a seedy/trendy neighborhood two blocks from the beach. Venice Beach. The one you’ve seen in movies and TV shows. Posted on July 16, 2013 December 9, 2016 Author angielokotzCategories Google GlassTags Glass Explorer, Google Glass, Google L.A.